Back in Alejandro Hurtado’s playing days he was often regarded as one of the finest midfield playmakers that Chile had produced. His high vision meant he could thread a through ball to split open defences, often creating several chances per game. He could dictate the play and determine the way a match was being played. But sadly his injury cut a promising career short. 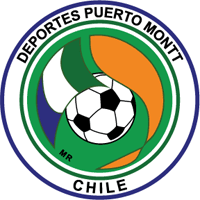 And from here he went on a long path towards football management, learning his trade back in his native Chile with first club Deportes Puerto Montt. Alejandro Hurtado has a family who have supported him throughout the years as he’s moved from Chile to Colombia, Argentina, USA and Spain. His family, originally from Sevilla, have travelled with Alejandro for the majority of his career. Federico Hurtado, 26, was born in Sevilla during Alejandro’s playing days. He has followed on in his father’s footsteps to take an early route into football management. Never good enough to become professional, Federico decided early on that he wanted to become a manager and the chance to enter management alongside his dad was too good an opportunity to turn down. Celta Vigo’s B-team are in the second tier of Spanish football. Federico Hurtado will take full control over the side with the aim being to avoid relegation back to the third tier. However this stint with Vigo B is intended to be short, with the aim being to move back to England (where he has spent most of the recent years) and manage a lower league side there. 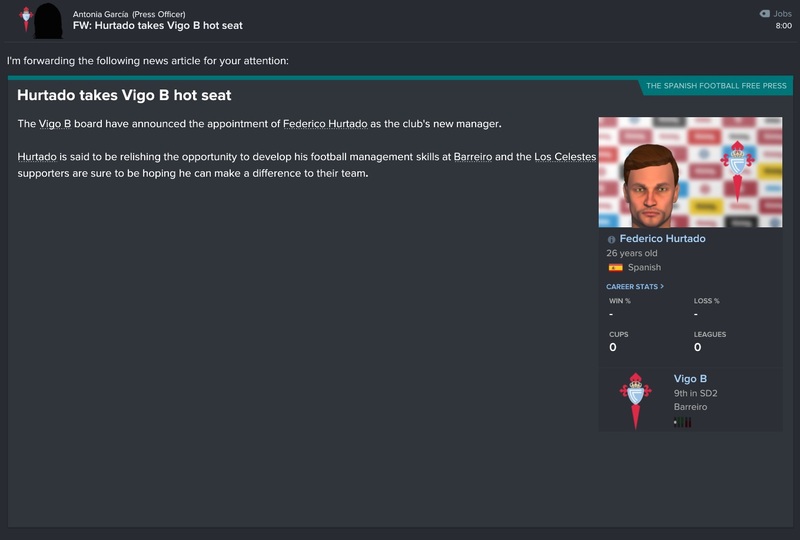 Our VivaGlobetrotting series is nearing a natural close (keep an eye out for upcoming three year plan for Celta Vigo), but I wanted to begin a second series of stories based in the same FM universe. Alejandro Hurtado will be leaving Celta Vigo within three years but will remain available should the right job come up at the right time. He won’t be retiring from management. Instead, I envisage him taking up the Guillem Balague role in the Spanish media. Federico Hurtado will be the main man in our new series as we follow his journey. Unlike his father, Federico intends to remain loyal to whichever bottom tier club he is hired by in England. Can he help them reach the Premier League? Thanks for reading this short little update in VivaGlobetrotting. The next post will be a three year plan on winning the Champions League with Celta Vigo. Alejandro will be leaving Celta Vigo after three years if we cannot win the CL. Let me know in the comments what you think of the change of direction for the new series on the website. This entry was posted in FM17 Stories, Football Manager 2017, VivaGlobetrotting and tagged alejandro hurtado, celta vigo, europe, federico hurtado, fm stories, fm17, football manager, VivaG Spain. Bookmark the permalink.